The NBA has placed an emphasis on Twitter involvement since the social media boom of the mid-to-late 2000s. The league – which has more than 27 million Twitter followers (three million more than the NFL) – is known as the paragon of social media consciousness in professional sports, a distinction aided by its star power and international prominence. In this interactive timeline, we’ve drawn from the Twitter profiles of athletes, teams and fans from around the world to document some of the “Twitterverse” highlights and reactions to NBA All-Star Weekend in Los Angeles. COMPTON, Calif. – Torrel Harris hopped into a Mercedes van Friday morning, unsure of its exact destination. He knew he and his son, Los Angeles Clippers forward Tobias Harris, were going to a Compton school as part of Friday’s NBA Cares day of service. He had no idea which one. The van rolled down East 133rd Street, past a sign for Jefferson Elementary School, then pulled into the school’s parking lot. That’s when the surprise became a special one. Torrel immediately told Tobias why: It was his elementary school. 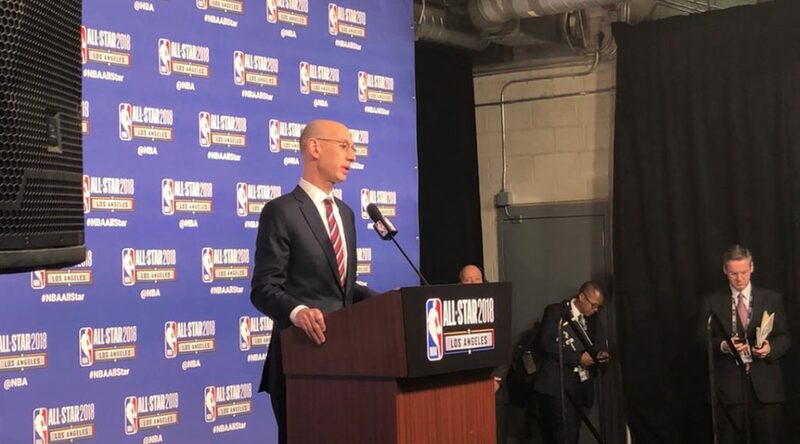 LOS ANGELES – NBA Commissioner Adam Silver emphasized his belief that the NBA should receive a 1% “integrity fee” if the Supreme Court gives all 50 states the option to legalize sports gambling as expected later this year. LOS ANGELES – Larry Nance Jr.’s life is pretty good these days. He plays alongside LeBron James for his home state’s NBA team. He moved from a team out of the playoff picture to one that, with the addition of him and a few others, looks like title contenders once again. Nance participated in the Verizon Slam Dunk contest Saturday night, and narrowly missed winning. It’s same event his father, Larry Sr., ushered into basketball popularity with a victory in the inaugural version in 1984. The younger Nance spent countless hours watching clips of it when he was younger. “For me, that was like Sesame Street,” Larry Jr. said earlier Saturday. He admits, though, he has one shortcoming compared with another member of his family. 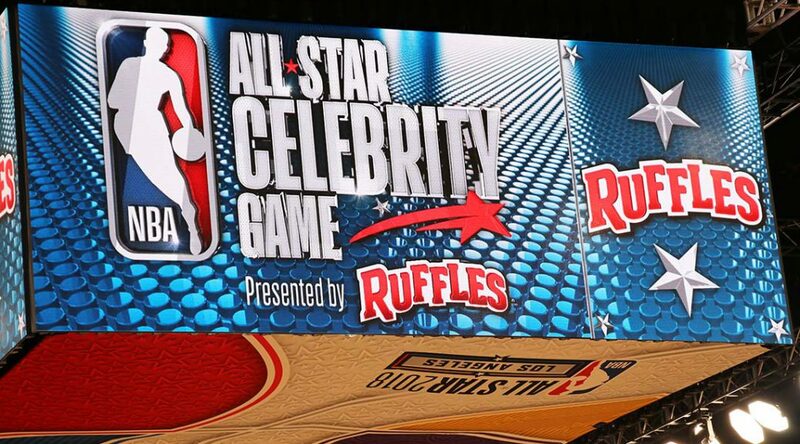 LOS ANGELES – The 2018 NBA Celebrity Game pit some of the most recognizable names against one another for bragging rights and a possible MVP selection by fan vote. Late additions Justin Bieber and Quavo of the rap group Migos would play for Team Lakers and Team Clippers, respectively, and they proved to be the main attractions for the event. “If we was on the same team, we would’ve been the greatest 1-2 punch ever,” Quavo said. While the two would not play together in this All-Star event, other individual moments throughout the competitive game became equally as memorable for attendees as their guest appearances. In the end for many of the players, the goal was to raise money for the Thurgood Marshall College Fund, which received $20,000 from Ruffles at the event. LOS ANGELES – As Eddie Scipio and his basketball team from Lompoc, California participated in the NBA Special Olympics Unified game Saturday, he reflected on the journey that brought him there. That calling would be to help students with and without intellectual disabilities work together. The journey would require him to leave his home of Pennsylvania and move to California. Scipio came to California originally to play football in junior college then later accepted an offer to go to Brigham Young University to play. He would come back to California after a short stint at home in Pennsylvania and it was in Lompoc, California that his calling would be realized. LOS ANGELES – Several recognizable team mascots have entertained spectators throughout NBA All-Star Weekend, but who is the middle-aged man wearing 10 credentials and chasing them from event to event? 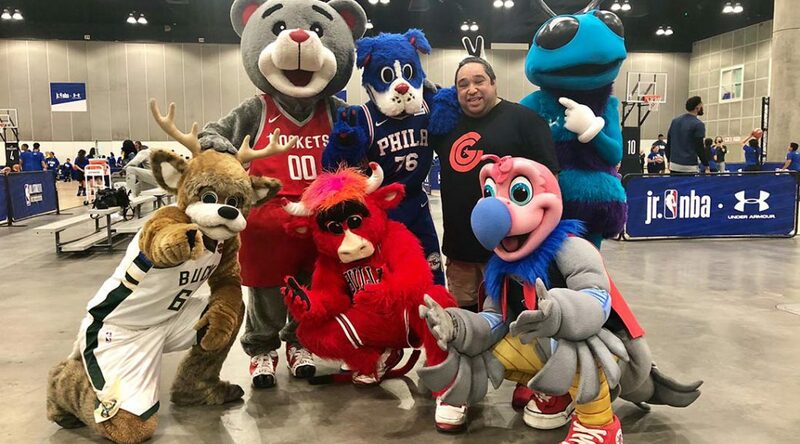 That would be Dominic Davila, 46, who is known in NBA circles as the mascot babysitter this weekend, a designation that doesn’t veer far from his official title of “mascot coordinator” with the Houston Rockets. 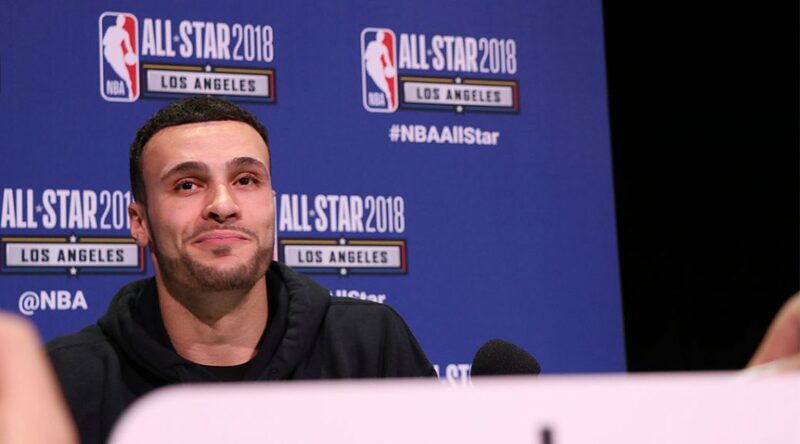 Like father, like son: The NBA dunk contest is a family affair for Larry Nance Jr.
LOS ANGELES – Larry Nance Jr. failed to win the NBA Slam Dunk contest like his father did 34 years prior, but that doesn’t mean Saturday night wasn’t special for the Nance family. On his first attempt of the competition, Nance Jr. wasted no time paying homage to his father’s iconic cradle dunk that vaulted him over Julius Erving in the inaugural 1984 contest. Nance Jr. changed out of his Cleveland Cavaliers warmup gear at center court with the assistance of quick-change artists who had performed earlier in the evening. He emerged in his father’s retro Phoenix Suns’ uniform and proceeded to replicate the dunk he had seen countless times growing up as his father appeared to tear up courtside. 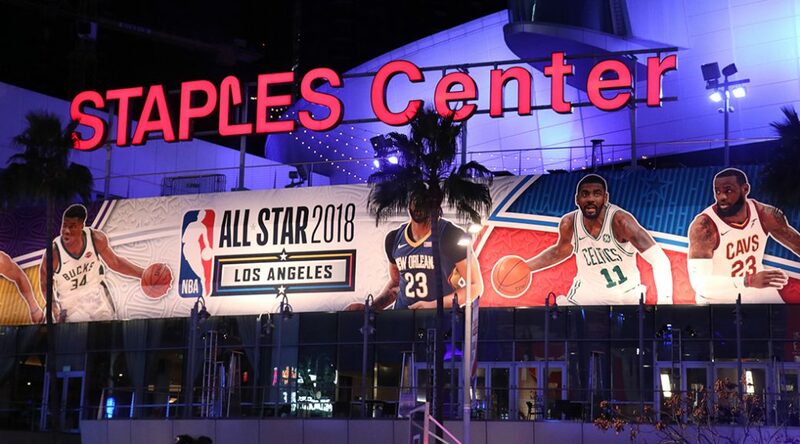 The price of Sunday night’s NBA All-Star game tickets rose to an average of $1,900 per seat but it did not stop thousands of fans from traveling across the globe to see the league’s top talent, even if they would not be seated in Staples Center. Instead, they were in the heart of downtown Los Angeles, enjoying a budget All-Star experience. Attendees could see the NBA on TNT Road Show and the NBA Crossover, both of which headlined the fan experiences at All-Star weekend. Diehard basketball fans and tourists will find similar activities to enjoy at future All-Star weekend sites, like Charlotte in 2019 and Chicago in 2020. LOS ANGELES – The Rising Stars are playing it nice. Fourteen of the 2018 NBA Rising Stars Challenge players were asked over the All-Star Weekend in Los Angeles who they thought among them, excluding the player himself, would be the first to make the All-Star Game. And most were loyal to a fault.